I’ve just read your lovely, smart Overtime fiction chapbook Timothy Weatherstone and was particularly intrigued with your depictions of class. Ursula K. Le Guin recently gave her acceptance speech for the Medal for Distinguished Contribution to American Letters from the National Book Awards. In her speech she said, “Books, you know, they’re not just commodities. The profit motive often is in conflict with the aims of art. We live in capitalism. Its power seems inescapable. So did the divine right of kings. Any human power can be resisted and changed by human beings. Resistance and change often begin in art, and very often in our art—the art of words.” I love the idea of resistance and change that begins in art. Can you talk about issues of class and making art? What work does such depictions of class struggles do to initiate change? I think of a line attributed to Mother Jones, “I belong to a class that has been robbed, plundered, and exploited down the long centuries. And because I belong to that class, I have an instinct to help break the chains.” She was someone who remembered who she was. For the rest of us, it can be easy to forget. And this is where art comes in. There are forces who want to keep us isolated, deluded, and demoralized and those forces create all these delusional narratives to keep us distracted from who we are and what’s really going on. Class, race, gender: these are the trifecta of American oppression. So we get these narratives about gays or Mexicans or women or rednecks as the Other and once we get these narratives in our heads, then that Other becomes the source of our problems. But art, real art, in whatever form it emerges, can tell a story that captures the truth of our situation, the good, the bad, and the ugly of it, in a manner that can actually transform our sense of ourselves and allow us to understand that the Other is not really other. Intellectuals, academics, historians, statisticians, they all have their places in transforming our way of seeing the world, but what really grabs people and really makes for change is story, getting people to see that there is only one story. 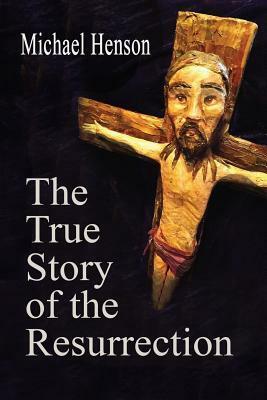 Paradoxically, the only way to do that is to tell a story so individualized and true that it rings like a bell. But there are stories within the story and so often—for women, minorities, working people, for anyone on the margins—their part of the story is silenced or distorted. I remember reading Tillie Olsen’s Silences and thinking, I know that she is speaking mainly about women and how their voices are silenced, but this is how I have felt as well. So I think that the artist has to speak his or her own truth, but always to consider the truths of those who may be otherwise silenced. In your novels Ransack and Tommy Perdue and in your chapbook Timothy Weatherstone, you’ve created portraits of lives intimately and tragically tied to addiction, and though that might signal the fall of the hero in another story—for certainly some of your heroes do fall—there is this sense of community that enacts a healing, a coming together, a uniting around a situation in an effort and movement towards care. I recently attended the Omaha Lit Fest and Melanie Benjamin, author of The Aviator’s Wife, said during her talk on fiction and biography, “Every life is made up of hundreds of stories and I’m only picking one or two.” Talk about the stories you tell about your characters and in your answer, talk about inspiration, the writing process, and how stories unfold to you as you write them. I have always been drawn, as a writer, to strong, working-class figures, and to figures from out of Appalachian culture. I suppose this comes from growing up so close to my grandparents who were transplants from the rural South and to a whole world of relatives and neighbors whose stories and whose language were so much stronger and more fascinating to me than those of the middle-class types my parents hoped I would become. As it turned out, I’ve been able to inhabit both worlds and to do so comfortably. But in my writing I find these stories from working-class Appalachian life to be the most compelling. I use that word, “compelling,” consciously, because I feel compelled, commanded, as if an Old Testament angel has come to me and given me the word from God. I worked ten years on Ransack. You could read it in a morning, but it took me ten years and I don’t know how many drafts to write it, just because I couldn’t get that story off my mind and I couldn’t move on to anything else until I had that one down. A story starts for me with a little germ of story that has to ripen over time. I’ve worked most of my career as a substance abuse counselor and a community organizer and through my work, I have been privileged to meet a number of compelling figures (there’s that word again) who by either their gift of language, or story-telling power, or their personal story, present me with that story-seed I cannot let go of until I have honored it in the way I feel it should be honored. I’ll carry around a notion for years sometimes before I can see how to make a story out of it. Once I can see the story begin to emerge, it becomes a slow, almost sedimentary process of accretion. I’m not a writer who pours out a lot of words onto a page and then has to cut it into shape. I tend to build a story up, word by word, phrase by phrase, sentence by sentence, draft after draft, until I have what I want. It’s all very slow and meticulous. But I think of my father –-he was a postal clerk, but his love was carpentry—and I think of my mother –she was a grade school teacher but she loved to sew and knit—and so I try to keep the joints precise and to keep the needles clicking. I take a lot of inspiration from song, particularly Carter Family style songs, the Blues, Bluegrass music, the three-chords-and-the-truth John Prine-ish story-teller/songwriter types who can put a whole novel into three verses and a chorus. I aspire, in a story, to get the words to sing. It’s a different sort of music than song, more symphonic, but music is my aspiration. And once I hear that music ring all across the pages, then I know I have my story. You are the author of three full-length collections of poetry, The Tao of Longing and The Body Geographic (Dos Madres Press, 2010), The True Story of the Resurrection (Wind Publication, 2014), and Crow Call (West End Press, 2006) as well as two poetry chapbooks The Dead Singing (Finishing Line Press, 2010) and the Tao of Longing (Dos Madres Press, 2005). You’ve talked about your impulse to write fiction. Talk about what inspires your poetry. For years, I thought of myself as a fiction writer who wrote the occasional poem. I might write a poem in a year; some years, none at all. But after my friend buddy gray was murdered in 1996, I had no other way to get out what was inside me. buddy (he preferred his name in lower case) was an activist for the poor and the homeless who had managed to get on the wrong side of some powerful people. The circumstances of his death will probably never be fully understood, but what got me was the suddenness of his death. One day, he was this powerful physical and moral presence and the next day he was gone. I literally could not speak about it. 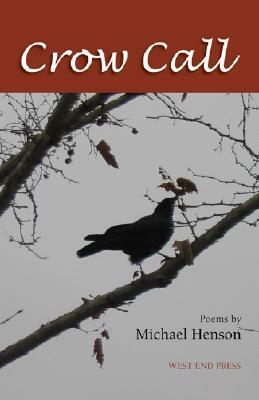 But I could write these poems, which eventually became the book, Crow Call. I quickly discovered two things: First, I could say what was on my mind more directly than in fiction where. In fiction, I try to say and do only what the characters would say and do. But with these poems, I could speak as myself and I could range about over any topic I wanted. I wasn’t confined to a setting and a plot. The second discovery was that I could share the poems much more quickly. Magazines print them more often since they take up less space. And I could go to an open mike reading and, in five minutes, I’ve read three poems. I have stories that have been rejected over twenty times, so nobody ever sees them. But the poems go more readily out into the world, either in print or by voice. I have this notion that the mission of the poem is to move the soul, either the soul of the poet or that of the reader, from the world of chatter, spite, and trivia to a space that is closer to the center of truth and solemnity. I’m writing a book on the topic which I hope to finish soon, but that’s the essence of it. If I get a notion that begins to take me there, to that place where I feel I’m in touch with some little corner of ultimate reality, then I write that poem. I don’t have a lot of use for those intellectual exercises which I refuse to call poems because they’re really just essays that they’ve broken up into short lines so that they look like poems. They might move the mind, but for me, the function of the poem, the true poem, is to move the soul. I also have this notion that the emotional core of all true poems is grief, but then, that might just be the emotional core of everything. Your book The Way the World Is: The Maggie Boylan Stories just won the 2014 Brighthorse Prize in Short Fiction from Brighthorse Books. Can you talk about it? When do you anticipate its release? When and where can we hear you read next? The book should be out any day now. I’m very honored to have been selected. Brighthorse is a project of the authors Jonis Agee and Brent Spencer who decided to initiate their press by way of a competition. There were also prizes in the novel and poetry which were won by Elizabeth Oness and Rick Christman. I’m looking forward to seeing those books as well. The Way the World Is is a collection of ten linked stories that cover nine months in the life of an OxyContin addict in a rural Appalachian county. They can be read as stand-alone stories, but together, they tell a longer story of a community finding a shaky spiritual center. I wrote the book out of my frustration and dismay over seeing the many individuals and families, already hard-hit, who suffered from this corporate-created epidemic. I have some readings scheduled in local colleges here in the Cincinnati area and at the Appalachian Studies Conference, but the one I’m most excited about is at Shawnee State University, which is in Scioto County, the epicenter for opiate addiction in Ohio. How are you trying to get better as a poet and a writer? I think any writer who understands the art is always exploring, always searching out ways to get at that thing that’s inside you that wants to get out. I find I have to re-invent the process each time I start a new project. I have to re-birth myself over and over again. What makes a good chapbook? I think we have to remember that just because a chapbook is small, that doesn’t have to mean it’s minor. Think of Blake. His Songs of Innocence and Songs of Experience are essentially chapbooks that have gotten accepted into the canon. True story: one of my daughters used to work for the Cincinnati Art Museum and she told me they have a stash of original Blake prints in their collection. Apparently, what we see on the walls of a museum is just a part of what they actually have. So she set me up an appointment. They’re supposed to have a docent sitting over you when you look at them, but because I was Liv’s dad, they left me alone with this folder and a set of wooden tongs. I behaved myself until I found they had two copies of Innocence and one of Experience. These chapbooks were printed and bound by Blake himself and colored by Blake and his wife. I thought, this is a thing actually touched by William Blake. I couldn’t resist. I put down the tongs, picked up Songs of Experience, read the poem, “London,” to myself, and felt this surge of spiritual power. They’re tiny little books, by the way. You could easily fit one in a pocket. Anyway, Blake didn’t think his chapbooks were minor works. We shouldn’t either. What’s next for you? 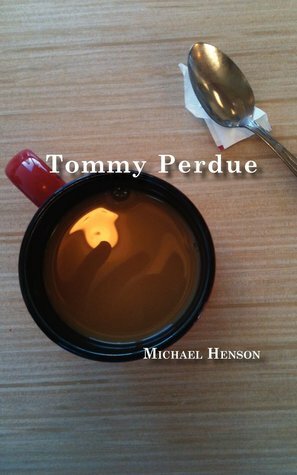 I’m working on a book of essays tentatively titled, The Mission of the Poem, in which I explore issues of poetic purpose. I’m on the downhill side of it and hope to finish it within the next few months. After that, I have a novel and a book of essays on poverty and addiction. I’ve spent most of my life alternating between work as a community organizer and a drug and alcohol counselor and I have a few things to get off my chest. And I always have some sort of poem or song cooking either on the front burner or the back burner. Residence: I live in an odd part of Cincinnati that is urban on the street side but forested on the back. Job: retired, thank God. I’m now a full-time writer and musician subsidized by the Social Security Administration.